I'm often asked how to get started with this hobby. Many people are intimidated by the vast amounts of knowledge (often times conflicting) and advice on the internet. While I don't have any earth shattering advice, I do think the most important step in starting in this hobby (or any other hobby for that matter) is just to start. If you are interested in reading about how I got started, you can check out part one and part two or click on the "About Me" tab on any page of the blog. Once you have a handle on the answers to these questions, you can start to craft a strategy before you begin accumulating points. One challenge in this hobby is the accumulation of points in disparate accounts without a goal. This can lead to hundreds of thousands of "orphaned points" in which you have a lot of points but not enough to redeem any of them for anything cool. Thus the need to have a goal and a strategy before you start applying for credit cards, maximizing spend bonus categories, dining out, or shopping online. I don't believe this is a "10,000 hours" type hobby. After a year of effort, I knew a lot, After two years even more. After four years of concerted effort, I'm pretty much an expert in a lot of the basic strategies so maybe more like a 1,000 hour hobby. I've earned and burned more than 6,000,000 miles and points for my own travel and helped others earn and burn millions more to help them make their travel dreams come true. So get started today by reading more on this blog (and others) and drop me a line if you have any specific questions. I am often asked "what is the best credit card to get." The answer is typically "it depends." Let's assume that you meet the minimum criteria to more aggressively apply for credit cards in order to earn points for award travel. This is a great place to start as one of the most powerful points earnings cards comes with no annual fee. The current bonus will net you 15,000 points after spending $500 in 90 days. The card enables you to earn 1x cash back for everyday purchases. You'll get 5x on specific category bonuses each quarter which is an easy 30,000 points per year. The kicker is that the cash back can be transferred to Ultimate Rewards points if you have the Chase Sapphire Preferred (or another Ultimate Rewards earning card such as a Chase Ink card) making this one of the most powerful card duos on the market. You can then leverage the Ultimate Rewards points to transfer your points to a variety of travel partners (United, British Airways, Hyatt, etc...). When you redeem those points for travel you're likely to earn a return far greater than the 1% cash back. As one of my first posts ever, I wrote about the value of the CSP. The value proposition remains solidly in place. Sign up for the card and you'll receive 50,000 Ultimate Rewards points after $4,000 in spend. You'll also receive 5,000 UR points for adding an authorized user. That makes the signup bonus worth 59,000 UR points. You'll earn 2x UR points for spend in the travel and dining categories...which is most of my personal spend. The 59,000 UR points can be combined with the 15,000 you earned from the Freedom card and the transferred to the partners mentioned above. The annual fee (waived for the first year) is $95 but given the everyday earnings power of this card, I think it's worth keeping the card. Many of you know that Starwood if my favorite hotel chain. I've been an elite member for over ten years, I'm a current former stockholder and former employee. I've also held this card in my wallet (and paid the $95 annual fee) for over ten years. The signup bonus is pretty great - 25,000 SPG points after spending $3,000 in the first 90 days. That means your total haul will be 28,000 SPG points. That is enough for a couple of nights at a high end W or Westin. 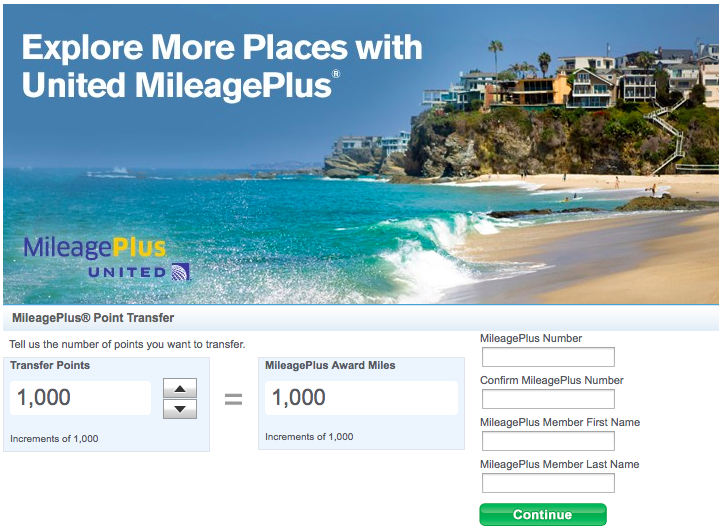 You can also transfer the points (in 20,000 mile increments) to dozens of airline partners. When doing so, you'll receive a 5,000 mile bonus meaning 40,000 SPG points will you get 50,000 airline miles. While there are no category bonuses on the card (beyond spend at SPG properties and Uber) it is worth keeping the card given the extreme value (almost 2.5 cents IMO) of SPG points. If you and your spouse picked up these three cards each, you would have 164,000 Chase Ultimate Rewards points and 56,000 SPG points. You could leverage the UR points for roundtrip economy tickets to Europe on United. Then leverage your SPG points to get 2-5 free nights at SPG hotels. All for free. If you are planning a honeymoon, a special anniversary trip, or just want to get away for a bit, this combination of cards will take you VERY far. People often ask me how I manage cash when traveling internationally. It's not possible to use a credit card in every situation (Thai massage on the beach, cabs in many countries, etc...) so it's a good idea to have a cost effective way of getting cash when abroad. The easiest way to get cash is from an ATM. But most US banks will charge a fee when withdrawing cash from an international ATM. Sometimes even two fees (a percentage of the transaction and a flat fee)! Note that this posted originally appeared in 2014 - I've updated a couple of items for clarity. Fortunately, there are a number of checking accounts which feature "fee-free" ATM withdrawals worldwide. My primary checking account (Schwab Bank HighYield Investor Checking) comes with this feature. When I withdraw cash from an ATM (in the US or abroad) I'm typically charged a $2 - $4 fee. At the end of each month, I receive a deposit from Schwab for the fees charged during my ATM withdrawals. Depending on where we are and what we have planned for the next day, I'll make another withdrawal. The last thing you want is a ton of extra currency when you leave for him (although I always try to keep the equivalent of $1-$2USD as a souvenir ). I end up making 2-3 withdrawals per country and incur somewhere between $6 - $12 in fees which are rebated at the end of the month. 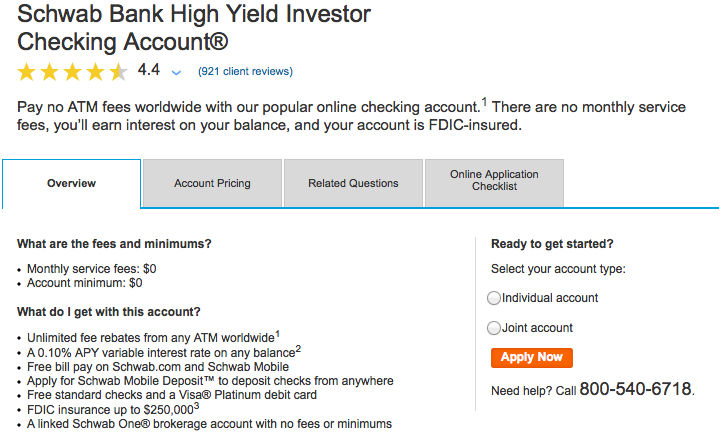 Schwab has had this feature as part of their High Yield Checking account for years - hopefully it's not something they change anytime soon! I don't believe this is a "10,000 hours" type hobby. After a year of effort, I knew a lot, After two years even more. After four years of concerted effort, I'm pretty much an expert in a lot of the basic strategies so maybe more like a 1,000 hour hobby. I've earned and burned more than 5,000,000 miles and points for my own travel and helped others earn and burn millions more to help them make their travel dreams come true. This is an update to a post I wrote back in 2014. While the specifics have changed a bit, the strategy remains the same. The last few years of traveling have been unreal. We've taken trips to Hong Kong, Maldives, Dubai, London, Singapore, Amsterdam, Paris and Bangkok! Many of you have asked us how we afford to go on all these trips. The answer is pretty simple…we pay less per trip than the price of an economy ticket from the US to Europe. A couple of weeks ago I had the opportunity to talk a bit about miles and points to a group (40+) of co-workers as part of our monthly "lunch and learn" sessions. The feedback was overwhelmingly positive and I think I picked up a blog reader or two in the process. Given many of the attendees were new to the miles and points world, I've posted a few introductory links below. 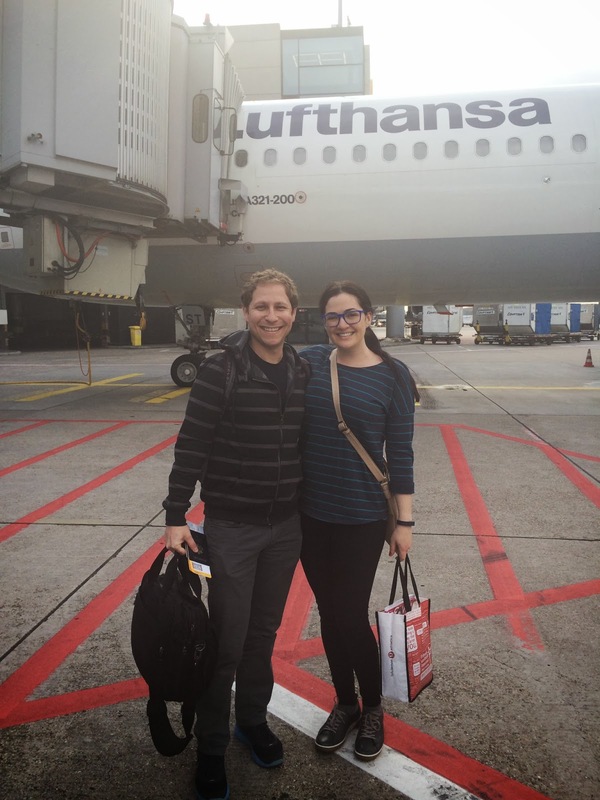 Looking forward to hearing about your own travel hacking success stories as you get started! I'm going to work on a few additional introductory posts including finishing my 5 Steps to a (Nearly) Free Trip series. Feel free to email me with any additional questions about getting started! Back to Basics: What's the Point? I've been writing this blog for about 15 months (slacking lately but promise to pick it up) and I often get questions from friends and colleagues regarding "the best credit card" and "how does this whole thing work?" I wrote a handful of introductory posts last year (getting started page) but figured I'd reprise the series a bit in the hopes that I can answer some of your questions (Doug - read this). The whole concept of "travel hacking" is relatively new to me. Maybe three years. I've always been interested in travel, aviation, and loyalty programs. But it takes a bit of research, experience, and trial and error to really put it all together. At this point in my life, I want to see new places and experience new things. And I don't really want to stay in a Holiday Inn Express. I don't really want to sit in the back of the plane (but I will) and I've found that my travels/vacations are WAY better if I a) enjoy the journey and b) arrive rested and ready to go. And I've found that by being strategic in managing my credit card spend, applying for new credit cards, learning the airline and hotel loyalty program award chart and redemption options that I can do exactly what I want. I could put all of my spending on one 2% cash back credit card. They are readily available. But there's no "leverage" in that. Even if I put $3,000 in spend on a card per month...that's only $720 in cash back PER YEAR. That's really only going to pay for a couple of domestic flights. So I take advantage of the sign-up bonuses that the card issues are offering. Emily does the same thing. We buy stuff online (that we need) through shopping portals. We both use the "right" cards for the "right" purchases based on the bonus categories those cards offer (i.e. 2x points for travel and dining on Chase Sapphire Preferred). Doing this, we easily rack up one million points and miles per year. Now we could leverage those points and miles for domestic coach travel. And that would totally be cool. But we're still young and have (generally speaking) very little obligation and we want to see the rest of the world. And let's be honest, sitting in the back of a metal tube next to a stranger for 15 hours isn't anyone's idea of fun. 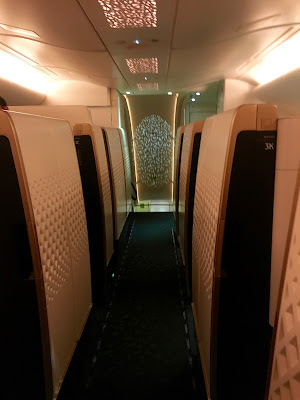 Singapore Airlines A380 Suites "Double Bed"
With a little organization and knowledge (which hopefully you can gain from this blog) we're able to turn those points and miles into premium cabin flights and stay in hotels that we would never pay for with cash. So I'll gladly give up 2% cash back on my everyday spend so that I can experience new places and things with my wife (and my brother this summer). 135,000 miles would get me 5+ domestic coach roundtrips on United or American. That is a lot. Or I could fly Cathay Pacific First Class roundtrip between the US and Asia. Since it's not that hard to earn 135,000 miles, I prefer to see the other side of the world. No judgement to anyone that just wants to leverage their points and miles to go home, see family, or some new part of our beautiful country. If I can help you do that...awesome. Before I got into this hobby, we traveled a fair amount but it was to New York, Vegas, LA, Phoenix, Mexico, etc... In the last three years, we've been to 14 countries on 3 Continents. This year we'll go to at least 5 although several our repeats...we're going back to our favorite places to see more of them. We're creating memories that will last forever. The point is that you can do this (whatever "this" is) as well. Part of figuring out how to make things work for you is to figure out what your goal is. I'm going to dedicate an entire post to this but that's really the first step. Do you want to see another part of the world in a premium cabin or do you want to fly home to see your childhood friends? Do you want to stay a week in a super nice resort or do you want to stay a month in a perfectly acceptable but not luxurious hotel? Here's to a great year of travel - whatever that means for you. Amazon Payments is officially dead for my household. I processed the final $2,000 roundtrip this morning. For those of you that haven't done so, you still have 2 more days to manufacture $1,000 per person this month. Amazon Payments is/was one of the easiest wasps to manufacture spend. Over the last couple of years, we've generated over 50,000 points and miles while on our way to many more as this technique helped both of us achieve minimum spend requirements for our favorite credit cards. Certainly an end of an era. A few readers have asked for a periodic "getting started" post. After almost 9 months of blogging, I've written a fair amount of content and sometimes finding a post (although you can search on the blog homepage) isn't as easy as it should be. So here's a recap of post that are great to bookmark, share, or read for the first time. There are over twenty getting started posts accessible from the getting started page. One of my first posts on credit card bonuses is one of the most viewed posts I've written. You'll also find posts on buying miles, booking United awards, and keeping track of all the points and miles you accrue. I've written a series of posts on prepping for travel, managing cash overseas, and how to save time when re-entering the US. The best part about this hobby is actually taking the trips. 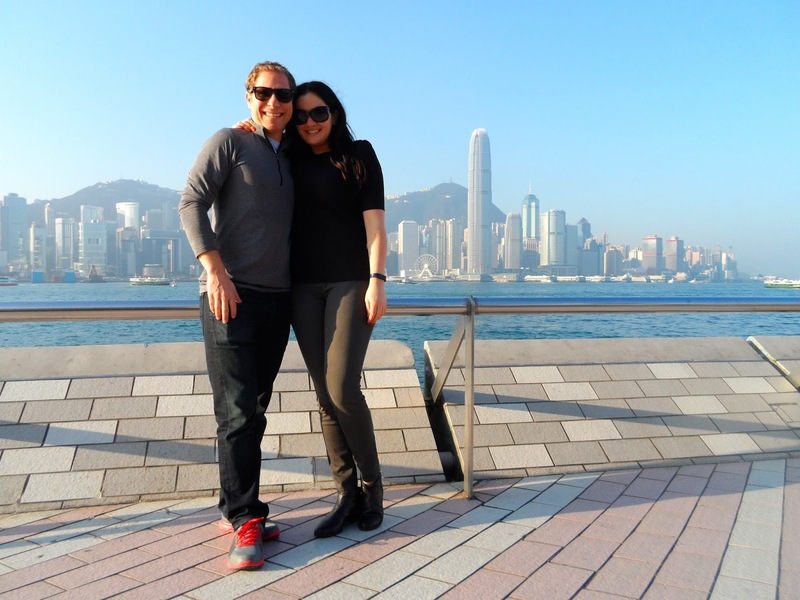 Over the past few years, we've traveled to Bangkok, Phuket, Hong Kong, Macau, Singapore, Istanbul, Dubai, London, and Bali. You can read all about these trips (all in premium first and business class cabins) on the trip report page. Hopefully this is helpful. Let me know in the comments or via email if you have any suggestions for future getting started posts. A couple of weeks ago, we stayed at the Westin Riverfront Resort & Spa. The stay was great but when I logged on to my account to check that my stay posted correctly, I didn't receive any points for actual spend at the property. I did receive my SPG Platinum amenity (500 points) and points (1,000) for making "the green choice." I also received proper night/stay credit toward elite status. No points for my "award stay"
I spent $270 at the property which should have earned my 3x points (since I'm Starwood Platinum) so I waited until a week after checkout and submitted the "report a missing stay" form within my SPG account. This is really easy - you can find the form in several places but on the activity screen, it's on the right hand side. You'll need the dates of your stay, property, and rough amount you spent during your stay. It's really VERY simple. I filled out the form and within a few days I had an email from Starwood explaining that my account had been updated and the stay "properly credited." This amounted to 810 points which I value at around $25 so it was definitely worth it to take the 3 minutes out of my day to ensure they posted correctly. Interesting enough, I also received 2 nights/1 stay towards elite qualification. Either it was my lucky day, someone made a mistake, or there's a bug in their system when retroactively fixing these issues. 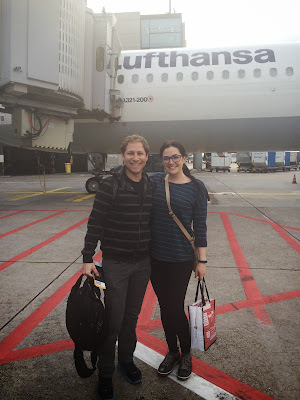 Since starting this blog, I've spent a lot of time writing abut how to earn miles and points. I've spent less time showing how to actually redeem miles and points which is where this hobby starts to pay real dividends. So here is my first post in a series on how to redeem United Miles for an award flight. If you already have sufficient mileage in your United account, great. If not (and you plan to transfer miles in from Chase Ultimate Rewards or purchase them) it's a good idea to wait until you find flight availability before making the transfer/purchase. Let's say you live in Denver and want to go to Tokyo over the summer. You are flexible on dates and want to go for a week with your spouse/friend/etc...You have 240,000 United Miles and 80,000 Chase Ultimate Rewards Points which you have been diligently saving/building up in advance of this trip. You want to fly business class to fly in style if possible and want to minimize connection time. Earlier in the year, I wrote about the Barclaycard Arrival World MasterCard. Since then, a few readers have obtained the card and asked me how to go about redeeming their points. While there are many redemption options (redeem for cash, merchandise, etc...) the best redemption option is to "pay yourself back for travel." This will get you a 10% rebate back on your points (for each redemption) which is how the card generates a 2.22% cash back rebate on travel. Click on "Pay Yourself Back for Travel"
You will see a list of "Purchases available for redemption"
That's it! You'll receive a statement credit for the amount redeemed as well as a 10% rebate on your redemption. So if you earn your 40,000 point bonus by spending $2,000 in the first 90 days (the current sign-up bonus offer) you'll have a total of 44,000 points. If you bought an airline ticket for $440 you could redeem those points against the $440 charge. You would also receive a rebate of 4,400 points back in your account. You could then redeem those points against a $44 travel charge and receive 440 points back in your account. This is a great new flexible card which guarantees you 2.22% back on travel purchases especially if you aren't fond of loyalty towards a specific airline or hotel chain. I've written about how Chase Ultimate Rewards are one of my favorite point currencies. If you are new to UR points, read these posts on how to earn them via the Chase Sapphire Preferred card and how to combine points between cardholders. I've found that most transfer points (I've used United and Hyatt most often) transfer immediately so Ultimate Rewards points are awesome if you find availability and want to book something while it's still available. This is the second in a series of posts about helping tips for traveling internationally. Here's the first post on avoiding foreign transaction fees. In my old job, I used to travel to Canada a fair amount. This is back in 2006 and 2007 and to be functional on the road, I needed my Blackberry (yes, I was very fond of mine) to make/receive phone calls and have an active data connection. I would typically turn my international data/voice plan on and off for the weeks that I spent up there. I remember my cell phone bill for those months exceeding $250. It was insane. Fortunately, mobile phone carriers, plans, and equipment have come a long way since then. It is extremely helpful (even when traveling for pleasure) to have the capability to look up directions, read a review, post an Insta, or text message friends and family. And all of that can be done with limited cost. Verizon offers (not sure on the other carriers but I would bet they offer something similar) the ability to add a Global Data Plan to your phone for just $25 per month...this includes 100MB of data. Now 100MB of data isn't a lot but I used less than that during my 13 day honeymoon in Asia. I normally turn the plan on (you can do this online in about three minutes) a few days before leaving. I backdate the (one of the options provided) feature to the start of the month so I can get the full 100MB allowance. I always make sure to keep cellular services off when traveling until I need something. When walking around if I need directions, want to send a quick text, etc...I just turn cellular services on, roaming starts, I do what I need to do, and then I flip it off. As long as you aren't sending massive attachments or streaming video, 100MB will get you pretty far. And should you need another 100MB, it will cost you just $25. When I return home, I log on to my Verizon account and turn off the feature. Kudos to Verizon for making this process so easy and affordable! A reader asked me this morning about a charge his girlfriend had noticed after booking an international plane ticket on a foreign airline. The charge was a foreign transaction fee (typically 2.7% - 3.0% and incurred when issuing banks convert a transaction in a foreign currency to USD) and he asked if there was anything he could do to get the fee refunded. Unfortunately, there's nothing that can be done about the fee after the fact but there are two main ways to avoid paying those pesky foreign transaction fees in the future. Pay with cash. I will explain my strategy for withdrawing cash (fee free) when traveling internationally in a future post. But this is one way to minimize or eliminate extra fees especially in a situation (i.e. cabs) where credit cards are not widely accepted. Carry a credit card which does not charge foreign transaction fees. My favorite card for this purpose (and many other purposes) is the Chase Sapphire Preferred Card. In addition to the lack of foreign transaction fees, the card offers great service when traveling abroad as well as 2x points on travel and dining which is where I tend to spend most of my money when traveling. My other favorite cards without foreign transaction fees include the American Express Platinum, Barclays Arrival Card, and the United MileagePlus Explorer Card. Even though the foreign transaction fee is only a few percentage points that can really add up when booking expensive airline tickets on foreign carriers on spending a decent amount of money on drinking/eating/lodging when traveling out of the country. So make sure you get one of these cards before leaving on your next big international trip! A few years ago when I was first getting super into earning and redeeming miles and points, I didn't know where to start. There is so much information online, it's difficult to figure out what matters and what doesn't. So I read a lot and tried some things and started to develop me own strategy towards earning, burning, and managing. I know that many of you (notably friends and family) either just started or are dipping a toe in the water in terms of figuring out how miles and points can help pay for your next vacation. To that end, I've added a new page to the blog which contains several posts on getting started. If you're been reading for a couple months, than you probably already read these. If not, they are great posts to start with. I'll be adding to this page over time with additional posts about redeeming miles. But for now, enjoy the posts about getting started! On Saturday, Emily and I went to the new Richard Sandoval concept called La Biblioteca. There is also one in NYC. This is a cool spot with a ton of tequila and happy hour (even on Saturday) until 7. They are also part of the United dining program. So we had dinner and drinks there before a movie. The check was about $70 and with my CSP and "VIP" status, I'll earn almost 500 miles for the dinner. This is a super easy way to pad your miles and points balances through passive spend. Just set it and forget it and watch the miles roll in. A lot of people have asked me why they should switch from a cashback (or a debit card) to a miles/points earning credit card. Everyone is in a different situation but generally speaking, all of us like to travel in some capacity. You might like to travel to weddings, family gatherings, business travel, domestic vacations, international vacations, or all of the above. Here are my thoughts on why you can derive so much more value from leveraging the variable valuation of points and miles cards for your everyday spend. The top cashback card on the market right now is the Barclays Arrival(TM) World MasterCard. The annual fee is waived for the first year ($89 thereafter) and offers a 40,000 point sign-up bonus and 2% cashback on everyday spend. In addition, you can get an additional 10% back on your travel "redemptions" effectively making the rebate 2.2% back on spend. So once you're received the signup bonus, you are capped at a 2.2% return on your spend because cashback is cashback. You can't redeem the "points" for something that varies in cost like a plane ticket or a hotel night. And that is the best deal on the market (ignoring periodic 5x bonuses that Chase Freedom and Discover cards offer in specific categories). This is the fifth in a series (post one, two, three, and four) of posts on getting started earning, managing, and redeeming points and miles. One easy way to “top up” your accounts is to buy miles direct from the airline. Many of you likely have accounts with many of the major US carriers. From time to time they will sell you miles at a discount. I recently purchased a few miles from United to top up my account for an award for about 2.1 cents (I value them at 2 cents each so paid only a small premium) apiece. It costs (until 2/1/2014) 100,000 miles to redeem for a roundtrip United business class ticket to Europe. Let’s say you currently have a total of 80,000 miles (easy to rack up quickly) in your United and Chase Ultimate Rewards (transferable to United) accounts and want to go to Paris. You need 20,000 additional miles for the award ticket in business class. In this example, you could purchase the incremental miles needed for $420 and fly business class or shell out roughly $1,250+ for a roundtrip coach ticket. Seems like a no-brainer, right? Right now, through January 31st, American is running a promotion where you can purchase (buy 45,000 get 15,000 free) miles for 2.27 cents each. It costs 67,500 miles to fly (one-way) from Chicago to Hong Kong in Cathay Pacific First Class. In most cases, this is a $5,000 - 10,000 ticket. As you can see below, you can outright buy the American miles for $1,457.50 and redeem them for a Cathay one-way First Class award. Cathay First is supposed to be fantastic. Ben has a great review over at One Mile at a Time. We haven't flown it yet but hope to in 2014. Not a reality for everyone as that is a pretty big cash outlay and you still need to get back from Asia. But it's a great illustration of how buying miles from time to time can be a great deal! Keep an eye out (on this blog) for notifications about new "buy miles" promotions. There is rarely a price in which I would speculatively purchase miles but if you have a desire to go somewhere and are short miles, this is a great way to get you there. This is the fourth in a series (posts one, two, and three) of posts on getting started earning, managing, and redeeming points and miles. There are a handful of outstanding miles and points blogs that I subscribe to and read almost everyday. They all make it pretty easy for you to bookmark, subscribe via email, follow on Twitter, Instagram, or Facebook. Each blog takes a slightly different approach to travel. But they are all interesting and full of detail on deals, award redemptions, and trip reports for dozens of hotels/airlines. Reading these blogs has been super helpful in earning miles, figuring out how to redeem for the best hotels/flights and see a trip report of a flight or hotel so I know what to expect. Ben writes the One Mile at a Time blog. He's 23, travels hundreds of thousands per miles a year in first class. Has amazing trip reports of his travels. Brian writes The Points Guy which is a really done beginner and intermediate blog. Tons of posts on all airlines and hotel chains. Gary writes View from the Wing and has super insightful posts about the travel industry in general as well as miles and points. He's a CFO so also posts on the economics of the industry which is fascinating. Scott and Amol write Hack my Trip. Also focused on economics and trip reports. Summer writes Mommy Points which is focused on family travel. Her blog will likely be helpful to many of you as you try to navigate traveling with a little one as well as reducing your spend on vacations now that you have more people to travel with! Obviously, your favorite blog should be this one, but there's lots of content out there and it's always helpful to get multiple opinions on something. Happy reading!